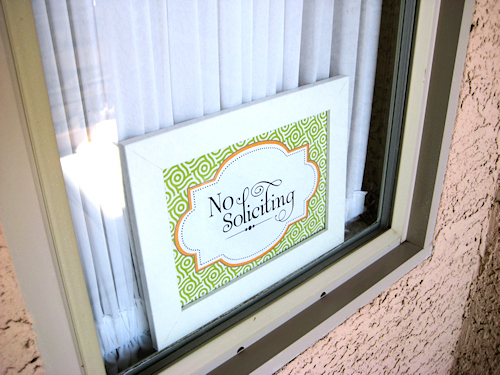 Since I am in the vinyl lettering business it was really easy for me to make up a "No Soliciting " sign to put near my front door. But guess what? Either they can't read it, they can't see it, or they just choose to ignore it. We really get a lot of people in our neighborhood selling things. When I saw this post I knew I had to share! I think this would be hard to miss! I really Need this....and I'm happy to say that it is a free printable! Yea! 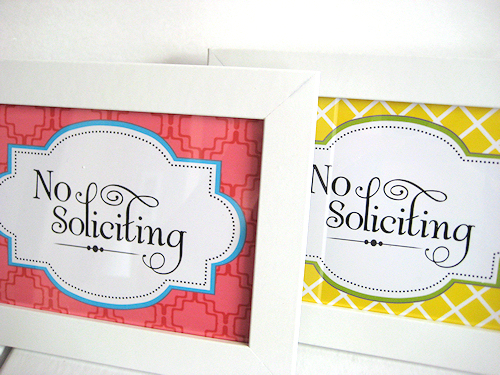 Just download, print on white cardstock and you're on your way to "less knocks" at your front door. You choose from 6 different Colors-One is sure to match the outside of your house or even your front door. 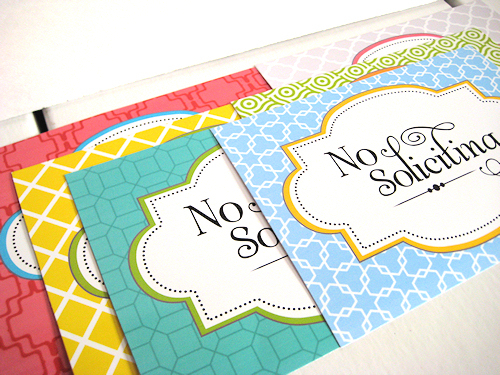 Click Here to go to the "Anything but perfect" blog to get more info in these cute printables and the download link. Do you have the file? The linked website is now closed.